Twas the night before Christmas, and what to my wondering eyes should appear: a UPS truck slowly emerging from the fog in our forest to deliver my author copies of a new anthology! Yay! 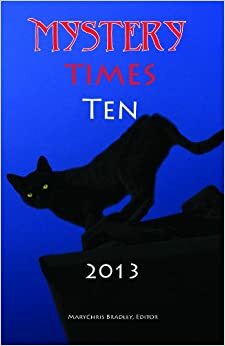 MYSTERY TIMES 2015 includes my short story “Wheels of Fortune” about a nursing home revelation that changes family dynamics. This entry was posted in Uncategorized and tagged Buddhapuss Ink, Short Mystery Stories. Bookmark the permalink. 4 Responses to Happy New Year Reading! What a GREAT GIFT! YAY! I want one! Sandra, it doesn’t take much to make me happy. Best wishes for a happy new year! Congratulations! I want a copy, too. Hi Gretchen, you will really enjoy these stories by talented writers. Happy New Year!